Prepare the Wing Sauce: In a large saucepan, heat honey over medium heat and bring to a simmer. Whisk constantly for 10 minutes or until honey turns amber in color. Whisk in vinegar and cook on low heat for 10 minutes. Remove from heat; add 4 flavors of TABASCO® Sauce and chili flakes and whisk until all ingredients are combined. Set aside. 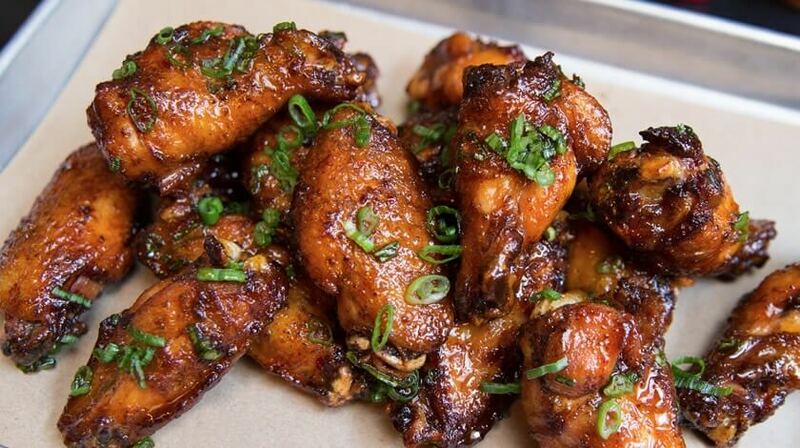 Prepare the Wings: In a large mixing bowl, combine wings, salt, and pepper. Refrigerate for 30 minutes before frying. Fry 15 minutes at 350°F. Or, alternatively, bake 30-45 minutes at 425°F, or grill 20-30 minutes at 400°F, turning occasionally, until golden brown and cooked through. Toss the cooked wings in a large bowl with approximately 1 1/2 cups of wing sauce. Garnish with thinly sliced green onion and serve alongside remaining sauce for dipping. Note: Should you only have TABASCO® Original Red Sauce available, use a ratio of 2 cups honey to 1 1/2 cups TABASCO® Original Red Sauce for this recipe.